This completely renovated modern 5-star hotel with historic touches is an 8 minute walk from Dam Square and only 4 minutes from Central Station. Bridging the gap between traditional Dutch heritage and modern amenities this hotel provides free wifi and a state of the art gym and spa. After a day of cycling around Amsterdam, you can relax in the hotel's cozy bar which serves cocktails and small bites. All rooms show a perfect mix of modern decor with classic touches. This modern 5-star hotel sits on Dam Square across from the Royal Palace. Keeping its original historic exterior, inside you’ll find a modern style. There’s plenty to keep you entertained during your stay including a Michelin starred restaurant, an award winning bar and a grand cafe serving afternoon tea. Free wifi is provided throughout the property. If you want ultimate luxury during your stay in Amsterdam, this 5-star hotel is sure to impress. Located to the south of the city centre overlooking Amstelkanaal, it’s easy to reach De Pijp’s bustling heart during the day and return at night to your sophisticated base. There’s a relaxing spa and health centre on-site boasting a pool, Jacuzzi and sauna, plus multiple Michelin starred restaurants for an unforgettable dining experience. Combining contemporary and classic styles, this 4-star hotel is situated within a 5 minute walk from major sights such as the Red Light district, Dam Square and the Amsterdam Canals. The hotel offers free wi-fi and you can work out in the hotel gym, relax in the sauna and solarium and treat yourself in the stylish bar and restaurant. The well-appointed rooms have air conditioning and a hairdryer, minibar and a safe. This modern 4-star hotel is found in Amsterdam’s Zuidas district, a 6 minute drive from the World Trade Centre. Nearby tram and metro stations and a bus stop in front of the hotel mean you’re within easy reach of the city centre. You can treat yourself at the generous breakfast buffet, for a small additional fee. All modern design rooms feature luxury boxspring beds and super fast wifi so you can watch your favourite shows online. 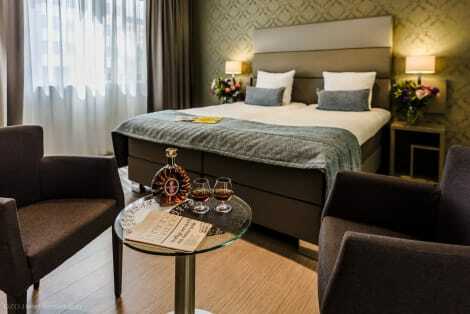 This stylish 4-star hotel sits next to picturesque Vondelpark, only 200 metres from tram connections into the city centre. The modern rooms have air-conditioning, flat-screen TVs, an en-suite bathroom and tea and coffee making facilities. This luxurious 5-star hotel is located in a completely renovated 17th century building which sits on the banks of the Amstel river. Its facilities include free wifi, a 24-hour front desk, and an on-site restaurant. The recently refurbished rooms are stylishly decorated and feature free wifi, satellite TVs, minibars, coffee/tea makers and bathroom amenities. The Qbic Hotel Amsterdam Wtc is a 3-star contemporary design hotel housed within the bustling World Trade Centre in the south of the city. The lobby is a cool space that showcases the work of upcoming designers, with high-tech information kiosks to help you learn more about the city. 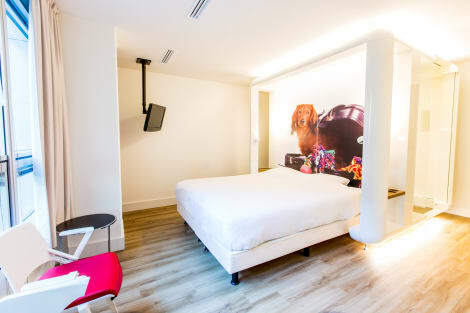 The Qbic Hotel Amsterdam Wtc’s rooms have state-of-the-art mood lighting and designer furniture, as well as comfortable Hastens and Eastbon beds, free wifi and modern bathrooms with rain-showers. 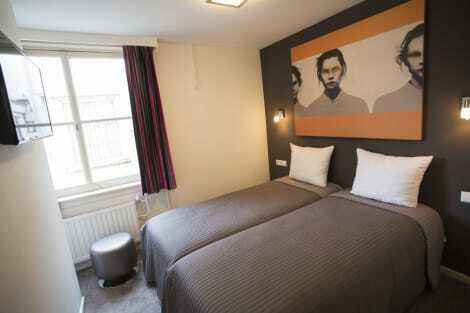 The 3-star New West Inn is located in the West part of Amsterdam, in a residential area. Hoekenes tram stop is only 800m away providing direct services into the vibrant city centre. Its facilities include a fitness corner, a solarium, a restaurant and bar, a 24-hour reception, free parking and a garden terrace. The smartly decorated rooms feature free wifi, cable TV, a desk, and seating area. 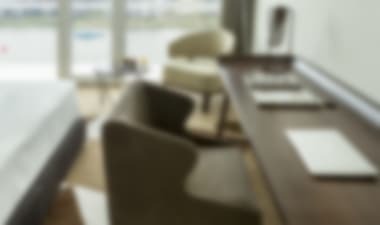 The Ozo Hotel Amsterdam is a contemporary hotel in the heart of the exciting Amsterdam Zuid-Oost area, near the Amsterdam Arena, Heineken Music Hall and Ziggo Dome. Start the day at the hotel’s generous breakfast buffet, relax in the Grand Café Savoy and Bar Savoy and enjoy a work-out in the equipped gym. Rooms at Ozo Hotel Amsterdam are decorated in an inviting, modern style, with air conditioning, free wi-fi, flat-screen TVs and private bathrooms as standard. The Quentin Golden Bear Hotel is housed in two 18th century buildings next to ‘Leidsestraat’, one of the most popular shopping streets in Amsterdam. Its facilities include free wifi, a 24-hour reception, and continental breakfasts are available. The smart rooms feature flat-screen TVs with cable, desks, and hairdryers. 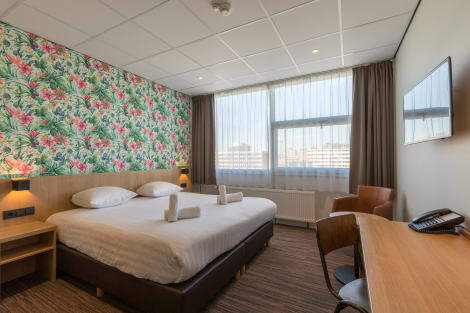 Situated in one of the oldest streets, in the famous old town centre, Hotel Internationaal is only 20 minutes by train from the airport and a 2 minute walk from Amsterdam Central Station. The hotel has a friendly Dutch pub, which was founded in 1928 for the sailors coming back from their long sea journeys. Until today, the style of the interior has remained authentic, with a old harpoon hanging above the bar and a lot of other antiques reminding us of the "Golden age". Best Western Amsterdam (formerly known as West Side Inn Amsterdam) is located west of the town centre, just off the A10 city ring and 20 minutes' by public transport from the old city centre. It features private parking, a 24-hour reception, a bar and terrace, a restaurant serving a breakfast buffet, and a food corner in the lobby serving salads, sandwiches and pizzas. The stylish, modern rooms feature TVs, work desks, and en suite bathrooms with free toiletries. Found in trendy De Pijp, famous for the buzzing Albert Cuyp Market, the easyHotel Amsterdam City Centre South is a modern 2-star budget hotel that’s a short walk from the city’s famous museums. The contemporary-styled reception area is staffed 24 hours a day and staff will be happy to offer advice for exploring this incredible city. 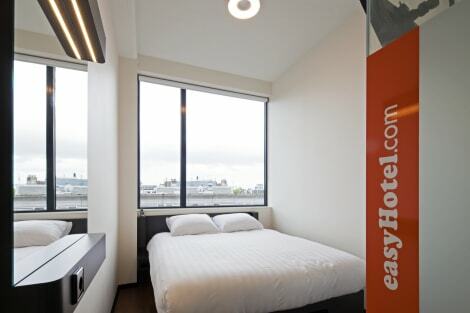 The easyHotel Amsterdam City Centre South’s rooms are simple and minimal, and have attractive hardwood floors, individually controlled air conditioning and private en suite shower rooms. The hotel prefers payments by cards for any extra's. Make yourself at home in one of the 45 guestrooms featuring minibars and LCD televisions. Bathrooms have bathtubs or showers and hair dryers. Conveniences include safes and desks, and housekeeping is provided daily.